The ecclesiastical parish of Cwmamman sits in the archdeaconry of Carmarthen and in the diocese of St. Davids. The parish register dates from 1843, when the parish was formed from Betws, Llandilofawr and Llandybie parishes in Carmarthenshire and Llangiwg (Llanguick) and Llangadock in Glamorganshire. Today, the parish covers the villages of Garnant, Glanamman, Gwaun-Cae-Gurwen, Cwmgorse and Tairgwaith. When the parish was officially formed on the 2nd of October, 1843, it also included Brynamman and Cwmllynfell. In 1851, the population of the Ecclesiastical Parish of Cwmamman (which then included Brynamman) was just over 3,000. By 1942, the same area had a population of nearly 18,000 people. This number may or may not include wartime refugees from London and the men of the parish who were away with the armed forces during the 2nd world war. When the Vicar of Llandilofawr realised the need for a church at Cwmamman, he and the Churchwardens of Llandeilo; on behalf of the people of Garnant, aquired land for the building of Christchurch from the Right Hon. George Talbot Rice; Baron Dynevor. The 29th July, 1842, edition of "The Cambrian", reported that Lord Dinefwr had made a grant of land for the burial ground, the vicarage and garden, as well as the altar and two school rooms. The land was once part of Cae Aberpedol farm and the deed of endowment was made on the 7th of December, 1841. The parcel of land was to be enclosed by a wall 1,940 feet (approx. 591.3m) in diameter; the price of which was £19 and 9 shillings. Building plans were submitted in 1838 and approved in 1842. The architect was Robert Ebbels, who died in 1860. The church and vicarage were built by the renowned stone mason, Morgan Morgan, of Ty Llwyd, Glanamman. He was the son of Dafydd Morgan of Brynlloi Farm. Morgan Morgan was also involved in the early stages of the building of Llandeilo Bridge. The estimated cost of building the church and vicarage was £527 12s 6d. In todays terms (i.e.estimated value of the £ in 2007), that would equate to approximately £27,300. The Bishop followed this by giving the same topic in Welsh, to both the astonishment and approval of the crowd. A tablet on the west wall of Christchurch states "This Chapel together with the adjoining Parsonage and the Church Schoolroom on the opposite side of the River Amman, was erected in the year 1842, by public subscriptions amounting to nearly £1,600, of which £500 with the land attached to the several buildings was contributed by the Right Hon. Lord Dynevor. In addition to the above sum of £1,600, a Grant of £400 was made in aid of the Chapel by the Church-building Commissioners, and a Grant of £300 by the Incorporated Society for the Enlargement and Building of Churches. This Chapel contains Five Hundred and Forty-five Sittings, Four Hundred and Ninety-five of which are Free and Unappropriated for ever." A sad entry in the Parish Register shows that on the 16th of June 1845, there was a burial at Christchurch of "A murdered person, name unknown", from "Waingigherwen" (Gwaun-cae-gurwen), who was aged "about 21 years". The funeral was performed by R. Griffiths, incumbent. In 1878, the church underwent restoration costing £505. Restoration work carried out in 1892 cost approximately £100. Further restoration work carried out in 1927 amounted to approximately £595. The 1895 edition of Kelly's Directory for South Wales stated that Christchurch was able to accomodate up to 400 people. On the 6th of April, 1889, by order of the Church Council, a new Parish of Brynamman was formed and on the 9th of March, 1905, another part of Cwmamman Parish was severed when it became annexed to the Parish of Brynamman; namely Cwmllynfell and contiguous areas. The population of Cwmamman ecclesiastical parish in 1891 was 5,403. The 1895 edition of Kelly's Directory stated that the vicar of Cwmamman was the Rev. Evan Lloyd, of St. David's College, Lampeter. He came to this positon in 1891. The population of the ecclesiastical parish of Cwmamman in 1911 was 11,611. The Jan 15th, 1914, edition of the Amman Valley Chronicle, reported on the success of the annual tea of the Band of Hope members. This was held at the N.P. 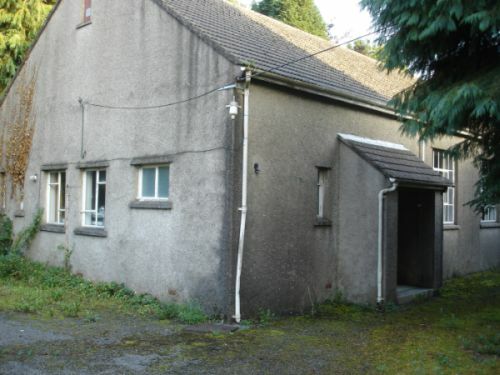 Schools, Garnant (now the site of the Raven Garage). The article referred to Rev. Williams, as a "very energetic temperance worker", proved by his untiring efforts with the Band of Hope children. A poignant feature of the church is a war memorial tablet, formed in marble, containing the names of a number of the men of the parish who died during the 1st World War; 1914 to 1918. The 1923 edition of Kelly's Directory for South Wales, names the vicar of Christchurch as Rev. William Williams B.A. of St. David's College, who came to the post in 1910. It also states that at that time, the East and North side each contained a stained glass window, the northern window acting as a memorial to Rev Evan A. Davies, who was vicar there until 1910. In 1923, Christchurch was able to accomodate 545 people. Information on the Anglican Community Website states that an act of parliament in 1920 seperated and disestablished the Church In Wales from the Province of Canterbury and that the Anglican Church has the largest denomination in wales, with its own Council for Mission and Ministry. The Welsh Church Act of 1914 was very controversial and the Cwmamman Parish Magazine in 1913 referred to the Bishop of St David's, who visited Brynamman to make a speech protesting against the seperation. There was also a large protest at Swansea in 1913, where between 50,000 and 60,000 people, including representatives from the Cwmamman Parish Churches, gathered to show unity against the disestablishment and disendowment of the Church In Wales. The first world war prevented the Welsh Church Act to from coming into force until 1920. The population of the Cwmamman Parish in 1931 was 11,861. The 28th December, 1933 edition of the Amman Valley Chronicle, reported that at a meeting of the Cwmamman Parochial Council, it was decided that the general public should not be allowed to use the churchyard as a public footpath and that further "Trespassers" would be proceeded against. A wedding which took place at Christchurch on the 1st September, 1936, was described by the Amman Valley Chronicle as "The most picturesque and fashionable wedding contracted in Cwmamman". The marriage between Miss Vera Margaret Milton George of Oakleigh, Garnant, and Mr Richard Cox Gough of Cheddar, Somerset, had the days events and even the list of gifts (tablecloths abounding! ), reported in a large article of the local paper. Richard Gough was the grandson of Mr R. C. Gough, who discovered the famous Gough Caves at the Cheddar Gorge. After their honeymoon at Devon, the couple were reportedly to start their married life in a ready prepared house at Blackwood, Monmouthshire. To commemorate the event, the churchbells at Mr Gough's church at Cheddar were peeled from 2pm to 6pm on their wedding day. On the 29th of July 1942, the Vicar of Cwmamman; Rev. Tudor Owen Hughes, published a booklet to commemorate the 100th Anniversary of Christchurch. The title of the publication was "A Brief Survey of the Ecclesiastical Parish of Cwmamman in the Diocese of St. Davids." At the time of the publication, the clerical staff at Cwmamman comprised of the Vicar; three licenced Curates (Revs. A. J. Jones, B.A., R. J. Tree, M.A. and T. Morris, B.A.) and a licenced Lay Reader; Mr. D.P. Rees. There were 41 baptisms and 84 confirmations, which was the annual average for the four preceeding years. The celebration of the Centenary of the Parish Church took place on Wednesday the 29th of July, 1942, in the presence of the Lord Bishop. A headstone in the churchyard is dedicated to the memory of Edgar Cyprus Rees, who died in May 1961, aged 83 years old. The headstone states that he had been the organist of Christchurch for 50 years. 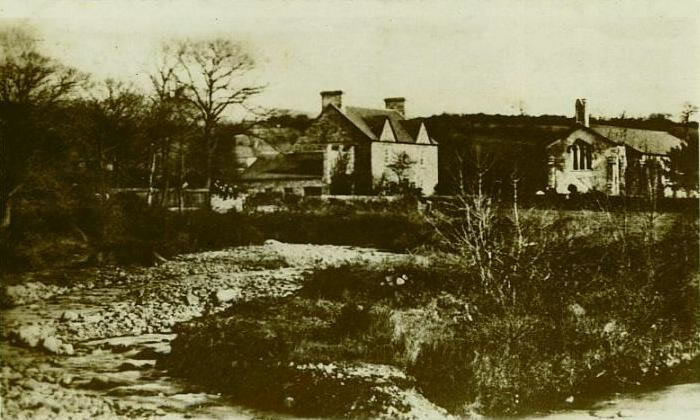 His father, Joseph Rees, was a publican in Swansea, before becoming landlord of the Raven Inn at Garnant. Christchurch Altar on Remembrance Sunday 2008. Formerly assistant Curate of Dowlais. Rev. Thomas died at Cwmamman in 1876. Formerly Vicar of Mothvey. Left to become Vicar of Llanarthney in 1891. Formerly Curate of Llanridian. He died at Cwmamman in 1910. Formerly Vicar of Llangeler. Left in 1923 to become Vicar of Trefilian. Formerly Assistant Curate of Llandilofawr. He was appointed Vicar of Hubberston in 1933. Formerly Vicar of Llanfihangel-y-Creuddyn. Tudor Hughes became Rev. Canon at St. Teilo's Church at Llandeilo in 1949. A parish magazine was published and one copy of the 1913-1914 editions in book form is still in existance. The Cwmamman Parish Magazine gives an insight into the activities of the local churches and also includes information on the issues affecting the Church in Wales at that time. We are also given some statistics regarding Baptisms and Marriages conducted by the Church in Wales at the beginning of the 1900's. The weekly collections for Christchurch for the years 1913 and 1914 are available on a separate webpage. The Church Hall, situated behind the vicarage. Information for this page was taken from sourches which included: "A Brief Survey of the Ecclesiastical Parish of Cwmamman" (1942) by Rev. Tudor O. Hughes, B.A., the Cambrian newspaper and Kelly's Directories for 1895, 1910 and 1923. Thanks to Kevin Madge for allowing me to borrow his copy of Cwmamman Parish Magazine 1913-1914, which may now be the only copy in existance.